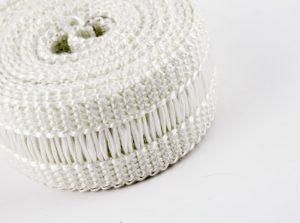 Knits have certain properties that are important in materials used in gasketing, filtration, sleeving and insulation. Knit materials are more resilient than other textile structures in that they can be bent or curved around a surface without being distorted. These properties make a knitted structure ideal for Industrial Textiles. 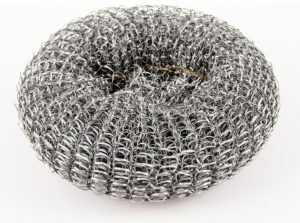 Knitted materials are also more porous which is important in industrial textile applications where filtration and absorption properties are required, such as knit wire mesh filters. In products used for EMI/RFI shielding, the wire is knit simultaneously over a core. A knitted sleeve can also be slid over a mandrel, treated and then slid off the mandrel. This results in a rigid tube that is used as a protective sleeve. In knitting, a single end of yarn can be used to produce a tubular or flat knit material. In addition, knitting does not require that the yarn be wound onto special beams or bobbins. Both of these points are important when the application requires the use of very unique or expensive fibers. Some industrial fibers are extremely durable and high in tensile strength. We specialize is selecting the knitting needle, needle motion and tension control required to knit these fibers.